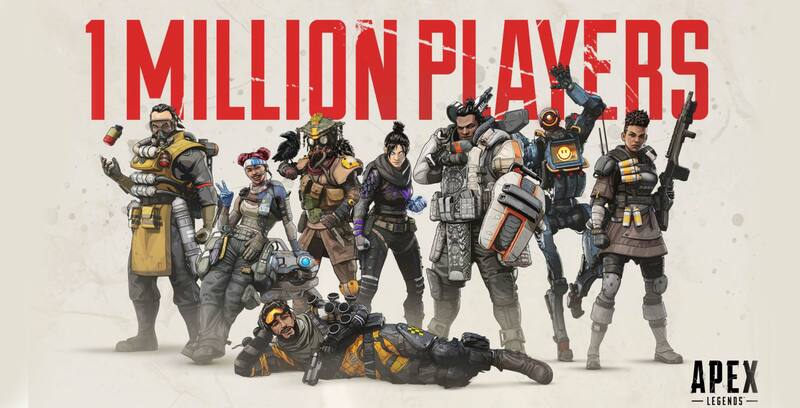 Apex Legends, Respawn Entertainment’s free-to-play battle royale game, has accumulated one million unique players in less than eight hours. Vince Zampella, the CEO of Respawn Entertainment, said that the company has a lot of things planned for the game in the future. He added that Respawn is committed to listening to their fans. Additionally, Zamepella stated that Respawn has “more Titanfall” planned for 2019. I’ve enjoyed my time with Apex Legends, although I’m not too good at first-person shooters. However, using all of the different abilities and finding different loot has been fun. Personally, I’m looking forward to a character with some sort of sword ability.